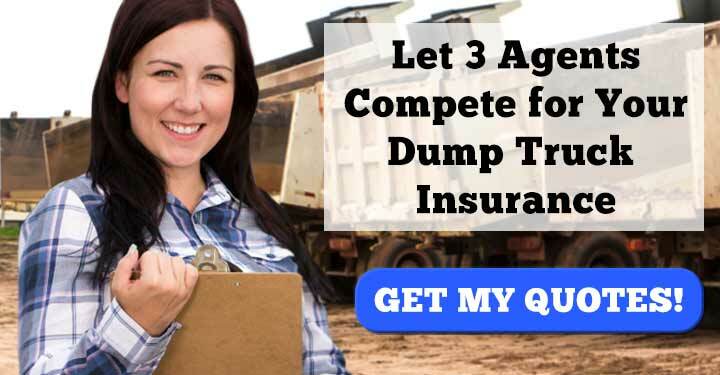 What Dump Truck Insurance Coverages Do I Need? 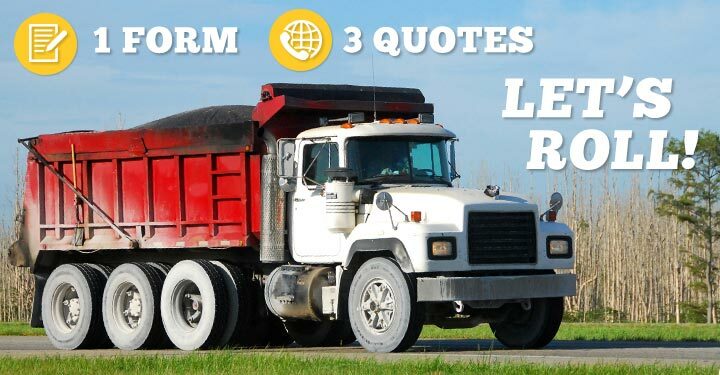 Looking for Dump Truck Insurance Coverage? Get a Quote from Three Agents at once. They Compete and you Save! A robust dump truck insurance policy includes standard coverages as well as additional coverages for your special individual needs. Consider which coverages apply to your situation and then contact an agent to get more information and to set up your policy. Liability Insurance – Protects the property of others if you’re the cause of damages. Most states require a commercial liability insurance policy with Bodily Injury and Property Damage coverages with at least a $1,000,000 limit. Bodily Injury – Liability insurance portion that pays for hospital bills or death benefits in the event of an accident causing bodily harm. Property Damage – Liability insurance portion that pays for repairs to property—land, automobiles, buildings—after an accident where you’re at fault. Physical Damage – Protects your dump truck after an accident by paying for repairs or a replacement vehicle. Comes with Collision and Comprehensive Coverages. Collision – Covers damage that’s the result of collisions with other objects, including automobiles. Comprehensive – Covers damage when there’s no collision. Examples include fire damage, theft, vandalism, and weather damage. Medical Payments Insurance – This optional insurance covers the costs of medical expenses associated with an accident in your dump truck. Covers you no matter who is at fault. Uninsured Motorist Insurance – Pays for repairs to your vehicle when another motorist is at fault, but who has no insurance themselves. 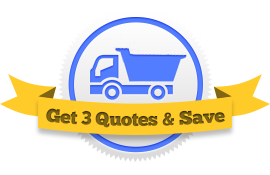 Motor Truck Cargo Insurance – Covers the materials you haul, including dirt, mulch, sand, stone, and aggregate. Non-trucking insurance – For owner/operators who use their dump trucks during off-work hours, this insurance replaces your commercial liability when you’re off the clock. Environmental Liability – If you’re responsible for spilt cargo, this insurance pays for clean-up as well as for effects done to the environment as a result of the spill. General Liability Insurance – Protects your place of business from lawsuits if someone is hurt on your property. Workers’ Comp – Pays for hospital bills and paid leave if one of your workers is hurt on the job. There are many ways to find a good dump truck insurance company. You can search the Yellow Pages or browse online. We’ve found that the easiest way to contact an agent and get the best price is to use this form, which collects all the pertinent information insurance companies look at and sends that information to multiple agents at once. Three agents review your information and each send back a personalized quote. That way, you can compare plans from multiple companies with all the information you need.